One thing we all have in common is that we eat differently when we are sick. Being sick, no matter how minor the cold, requires a different diet than our normal fare. When I asked my Facebook friends what they were fed as sick children, overwhelmingly the answer was chicken noodle soup or broth. But there were also answers that ranged from beverages like Ginger Ale or hot tea to foods like milk toast and crackers. Not surprisingly, cooking for those who are sick has changed over time. What your grandmother or great-grandmother served her family is likely not the same as what your sick family members eat today. 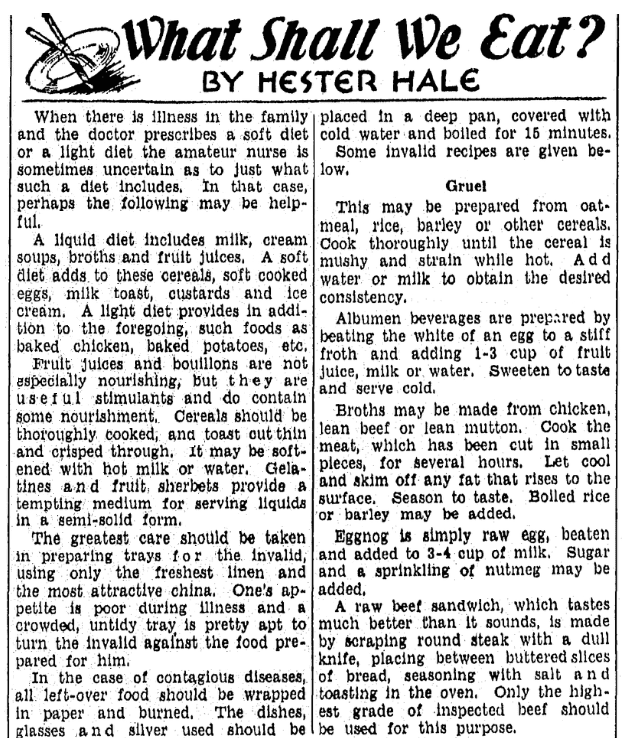 Historical cookbooks and old newspapers, such as GenealogyBank’s Historical Newspaper Archives, provide us with a look at the evolution of feeding the sick. 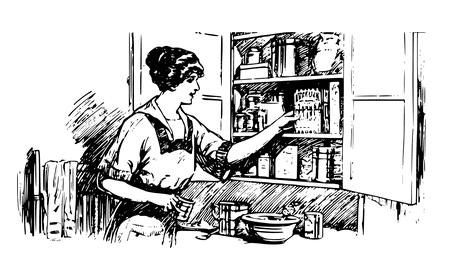 As I perused old cookbooks and home economics texts in my collection, one thing was clear: historically there were different types of invalid diets, and the type of illness determined what was served. The same is true today. You wouldn’t serve the same thing to someone who is recovering from surgery as you would a person getting over a cold. One of the beverages that I found repeatedly for the sick was beef tea. 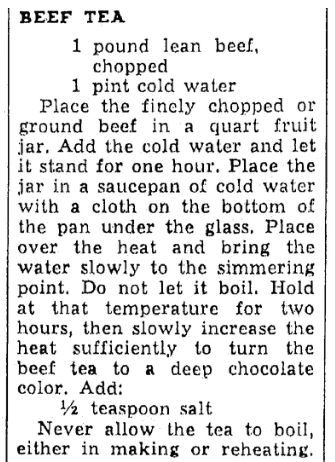 Similar to beef broth, recipes for this beverage can be found in historical newspapers. 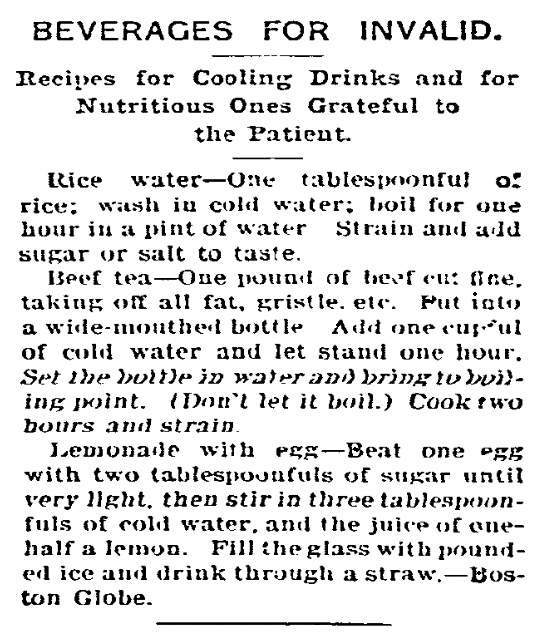 This particular newspaper article also includes a recipe for rice water which is exactly what it sounds like. You can add sugar or salt to the water when finished cooking the rice to provide some additional flavor to the liquid. 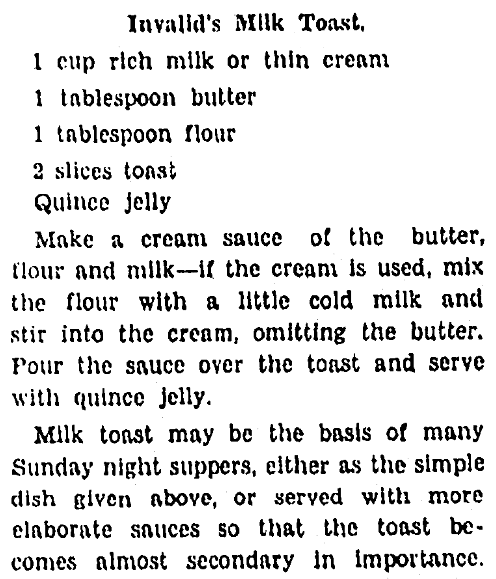 If you have access to grape juice, there are quite a few recipes to feed the sick in 1919. 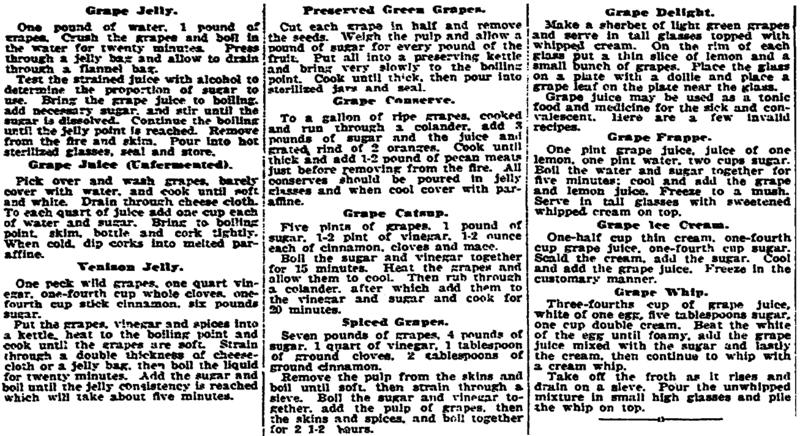 This newspaper article includes recipes for grape frappe, grape ice cream, and grape whip. All guaranteed to satisfy the invalid’s sweet tooth since they not only contain grapes but plenty of sugar. If you’re a big fan of grapes, you might want to read the entire article. The recipes aren’t just for the traditional juice drinks and jelly. There’s even a recipe for grape catsup! 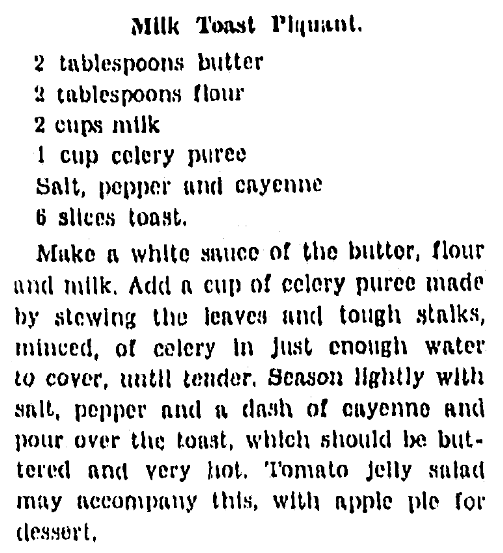 The recipes provided in the article are “old-fashioned recipes” to keep “on file in case of emergency.” The 1940 mom did have more choices in feeding sick family members, including the recently introduced version of Campbell’s chicken noodle soup (1934). 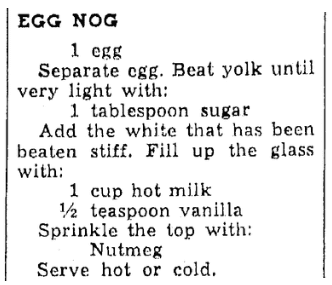 These 1940 recipe ideas include egg nog, beef tea, and onion gruel. I can definitely affirm that the onion gruel is probably not something I’d request when sick or even when I’m well. Made with onions and milk, it’s basically a cream of onion soup. 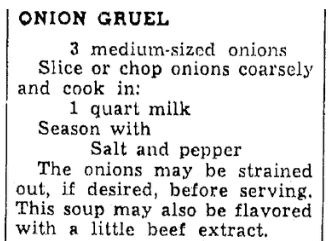 It’s suggested that you can flavor the gruel with some beef extract. 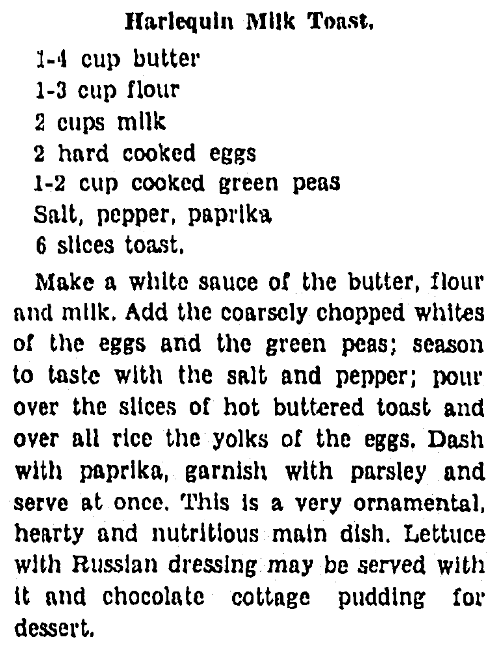 One food mentioned by my friends that has a longer history as an invalid food than canned soup is milk toast. 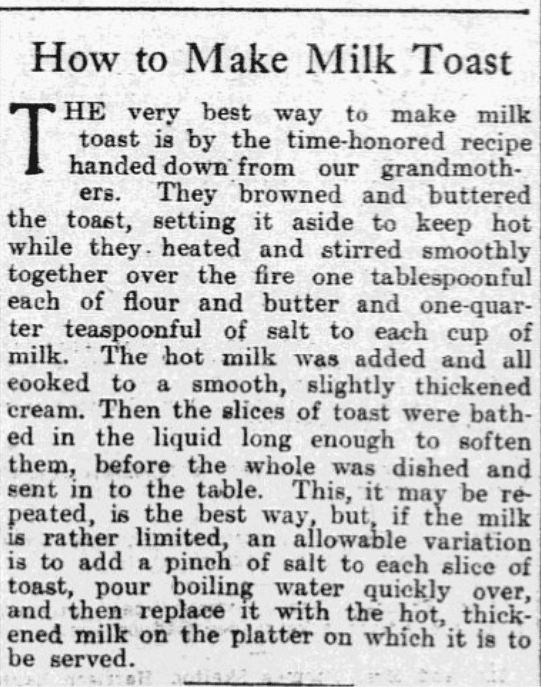 This 1904 recipe is the “time-honored recipe handed down from our grandmothers.” In this recipe the toast is browned and buttered which is then “bathed” in the “milk” sauce which includes milk, flour, butter, and salt. 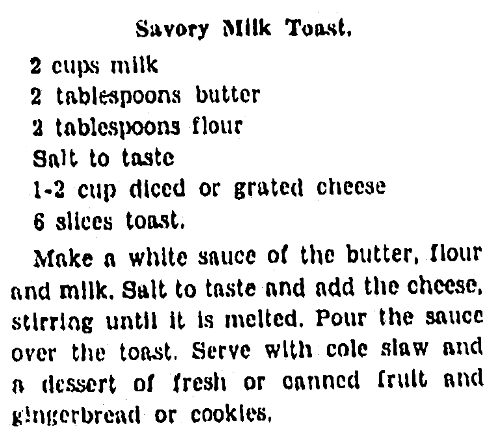 The toast featured in this article ranges from the sweet to the savory and includes different takes on milk toast – including one that has cayenne pepper on it. What Comfort Food Do You Eat when Sick? Growing up, I ate mostly chicken noodle soup and Jello when I was sick. I feed my kids basically the same thing – except there are times when we’ve been known to eat spicy foods in an effort to clear up stuffed noses. What did you eat when you were sick? Has that changed now that you’re an adult? What food memories are part of your family history? Please tell us in the comments section below. * Williams, Mary E and Katharine Rolston Fisher, Elements of the Theory and Practice of Cookery. New York: Macmillan Company, 1917. P. 327-328.